Views are being sought on a plan that sets out Peterborough’s transport vision for the next five years. A Local Transport Plan is produced every five years that sets out how to tackle existing and future transport issues with an ultimate aim of providing the best possible transport service in and around the city. Peterborough City Council is urging residents and businesses to look at the plan and answer a questionnaire as part of the overall consultation programme. 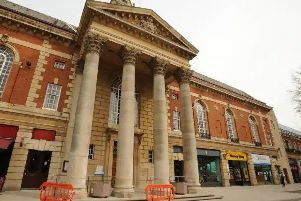 Three consultation events will take place at the Town Hall. Bridge Street, from 9am to 5pm on Thursday, October 29, Wednesday, November 4 and Tuesday, November 10. Councillor Peter Hiller, the council’s cabinet member for growth, planning, housing and economic development, said: “The fourth Local Transport Plan will run from 2016-2021 and sets out how the city’s transport system will support the future growth and development of Peterborough. “Peterborough is one of the UK’s fastest growing cities and we are also working to create the UK’s Environment Capital. “It is vital we have a transport system that supports this vision and the Local Transport Plan will be our blueprint that sets out how we will continue to develop and improve local transport. Hard copies of the leaflet and questionnaire are available from the reception at the Town Hall and Bayard Place in Broadway until Tuesday, December 1. It is now a statutory requirement that all local transport authorities outside of London produce a Local Transport Plan under the Transport Act 2000, as amended by the Local Transport Act 2008.